So pleased you visited, I look forward to seeing you again soon. 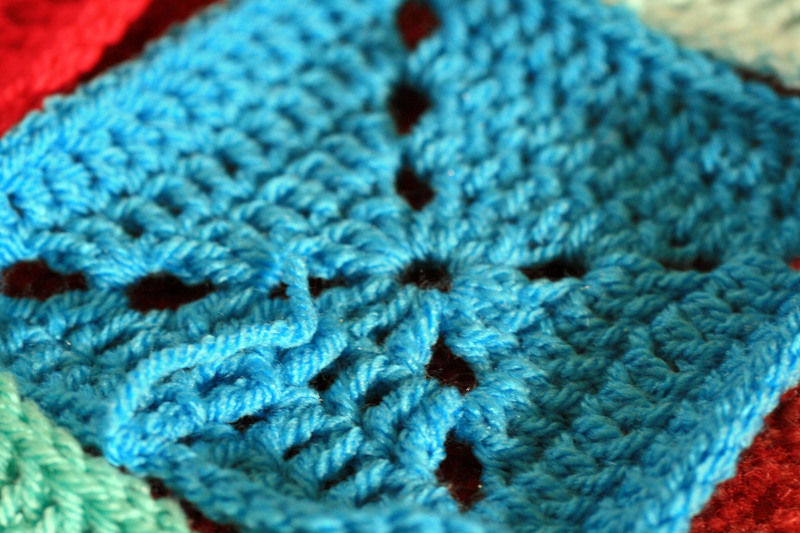 I took a peek at your site too and loved the circles blanket you are making, looking forward to seeing the finished item. It’s good to meet new friends. 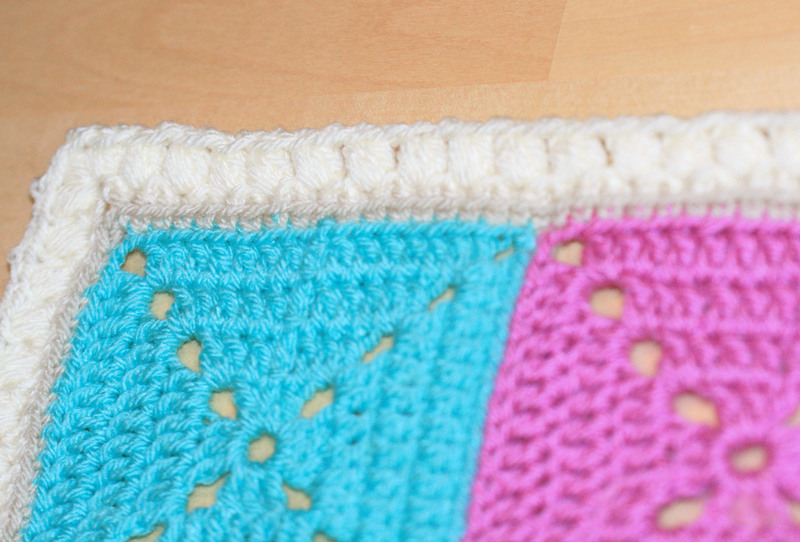 I am loving that border! Thanks for the book recommendation – sounds like a great one, especially for the crocheter who loves to work without patterns (include me in that group!). Pleased you like the book, it is really good for us free style crochet crafters. Thank you for visiting and your lovely comment, just need to decide who to give it to now. Love those colors! That is going to be one lucky baby. 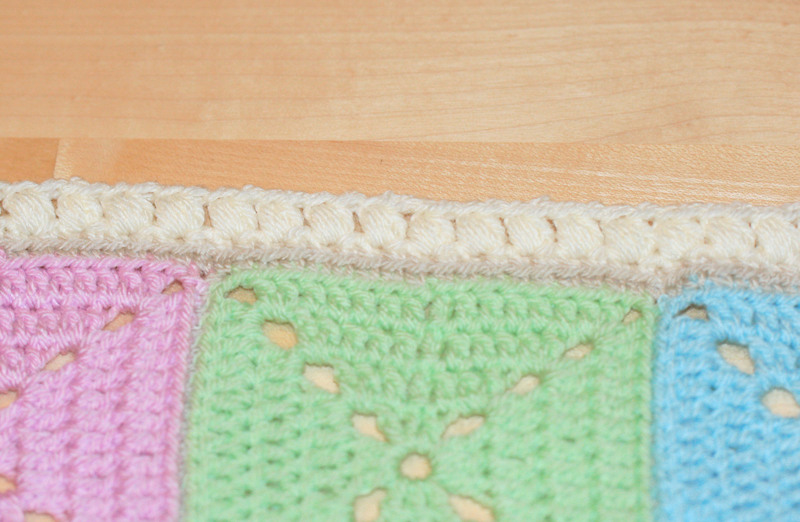 I know what you mean, I have made blankets for each of our four children and have extra squares from the girls blankets because I could not decide on the pattern! 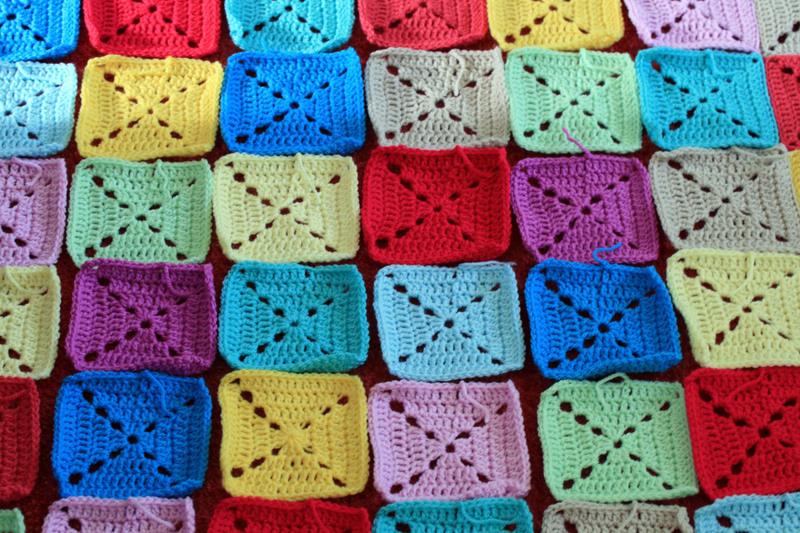 Planning on turning these extras into cushions to match the blankets. This is a really beautiful blanket. Does it have a little recipient to go to? 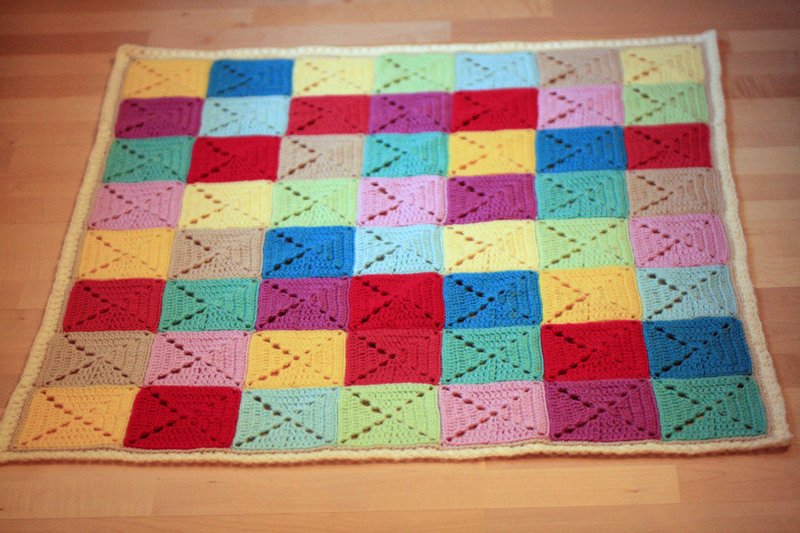 Thank you, no recipient yet I just fancied making a colourful baby blanket after the two I did previously in pastel shades. I am making a colourful stripy giraffe to go with it but as I don’t have a pattern it is taking a bit of figuring out. Thank you, it was a real pleasure to make too, you know how some projects are pleasing to make.